Phnom Penh, February 2, 2018 ACLEDA Bank Plc., the Bank You Can Trust, the Bank for the People and the Cambodia's leading commercial bank in Cambodia, announces today that ACLEDA Bank Plc. 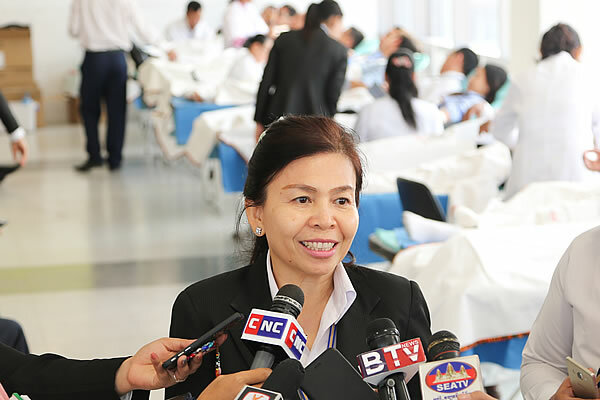 management & staff at Headquarters and branches around Phnom Penh voluntarily participated in donated blood to rescue all the victims and patients who need the blood transfusions. Dr. So Phonnary, Executive Vice President & Group Chief Operations Officer of ACLEDA Bank Plc. Dr. So Phonnary, Executive Vice President & Group Chief Operations Officer of ACLEDA Bank Plc., said that depending on blood transfusions are needed in hospitals for emergency treatment facilities across the country, ACLEDA Bank Plc. participated in voluntary and charitable blood donation three times on April 5, 2012, January 27, 2016 and February 3, 2017. By the way, today it is our Fourth time that ACLEDA Bank Plc. is taking its part in a crucial social and the important humanity activities through the donating blood in voluntary to the National Blood Transfusion Center to rescue people's lives in case of emergency from ACLEDA Bank Plc. 's employee and its subsidiaries included ACLEDA Securities Plc. and ACLEDA Institute of Business. 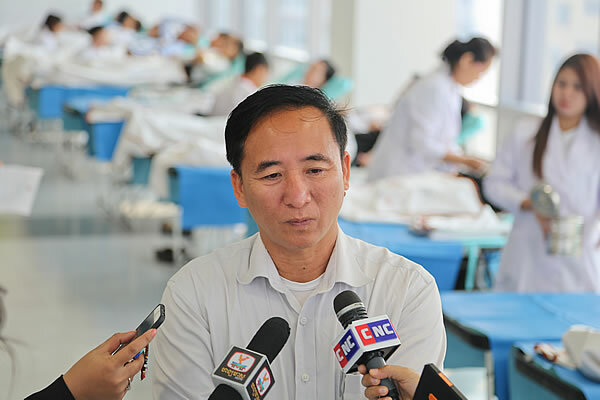 Dr. Hok Kim Cheng, Director of the National Blood Transfusions Center, said that today we do not have enough blood come from voluntary donors to save lives of people who need blood in urgent yet. Just a day in the capital needed blood about 150 units for rescue other victims and blood across the country need about 200 units every day. So we need more blood to save lives immediately. 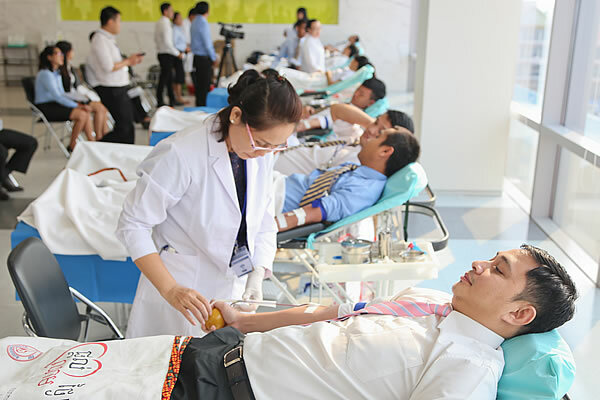 He urged and called on to Cambodian people across the country, especially the youth mercy join blood donation arrived at his unit to take, to help the victims who need blood is essential and these activities really contribute very much for helping save the lives of other people. He also added that if there is no contribution from the kindness of those, the National Blood Transfusion centres and Hospitals including family of patient are difficult because the source of blood donations come from our population, so your participation is very important. He expressed his deep gratitude to the ACLEDA Bank Plc. 's management & staff at all levels who donated blood to the National Blood Transfusion Center to save the victims who need blood as necessary. Currently, ACLEDA Bank Plc. has five subsidiaries which are ACLEDA Bank Lao Ltd., ACLEDA Securities Plc., ACLEDA Institute of Business, ACLEDA MFI Myanmar Co., Ltd. and ACLEDA Properties Ltd., and the Bank also has its representative office in Myanmar. By the end of December 2017, ACLEDA Bank Plc. has total assets of USD5.18 Billion, loan outstanding USD3.02 Billion, and deposit USD3.25 Billion.